For more than 15 years, Bay Area Concretes has been installing Aggretex® –the innovator in embedded aggregate material for concrete surfaces. Designers and clients rely on Aggretex’s consistent quality materials, durability and beautiful final finishes. Aggretex® is a cementitious slurry matrix composition to which decorative aggregates are added to provide an easy-to-place, cost effective, beautiful decorative surfaces. Our experienced team of concrete specialists skillfully blend sophisticated combinations of chemical admixtures, fibers, supplementary cements, aggregates and pigments to support our customer’s design innovations. BAC can also use Aggretex in a wet-on-wet process meaning we can install a layer of Aggretex decorative concrete surface over a just-poured concrete slab for time and money savings. Once cured, our team can begin polishing and exposing sand tips and colorful aggregate particles. Choose from existing colors and styles or let us create a unique solution to meet your design needs. Micro Topping style concrete paving is a micro-thin cutting-edge cementitious polymer technology that is applied at a credit card thickness to existing horizontal or vertical concrete surfaces. Bay Area Concrete’s helped pioneer these unique products beginning in the late 80’s and we have perfected these installations with many different manufacturers. This state-of-the-art system utilizes a troweled-on cementitious topping that comes in virtually any color pallet and tenaciously bonds to concrete, wood, plastic, metal, asphalt and other materials. Bay Area Concretes, Inc. will professionally work in concert with you, the client, to create original color schemes, saw cut patterns, special effects, and original graphics or artwork. These products can also revive stains and dye to further create an artistic canvas! This exciting colored concrete paving product can be utilized in virtually any paving application to create a form of concrete beautification that is endless in design possibility. Bay Area Concretes specializes in working with ARDEX engineered cement overlay systems and decorative self-leveling cementitious products. ARDEX offers industry leading innovation and time tested consistent solutions to the most complex installation problems for concrete repair and resurfacing, substrate preparation, flooring installation or for setting natural stone, ceramic tile and any other type of flooring materials. BAC insure’s the job gets done right the first time, to specification and on schedule, minimizing risk and costly callbacks. Bay Area Concretes is the leading installer of colored, textured, and imprinted decorative architectural concrete paving systems in Northern California. We have been the practicing expert in the field of colored, textured, and imprinted (stamped) concrete paving, stain, micro topping, and polishing products since 1966…longer than any other concrete contractor. We install architectural concrete paving comes in virtually any color tone and over 100 standard paving textures & patterns. Our skilled artisans will work in concert with you to create original paving schemes, colors, patterns, special effects, and custom artwork. These exiting paving solutions can be utilized in virtually any paving application including driveways, patios, pool decks, lobbies, courtyards, street paving, median islands, city sidewalk, amusement parks, restaurant floors, retail store floors, residential interiors, and many other interior flooring applications. Using our unparalleled experience in concrete restoration, Bay Area Concretes renovates and restores virtually any existing colored concrete or plain gray concrete surface. Through the resources of our vast architectural concrete knowledge pool and the many exciting products we have experience with, we have the unique ability to re-beautify and rejuvenate any concrete surface. We are also available for ongoing maintenance work as well. Bay Area Concretes is capable of decorative concrete consultation anywhere in the world, in all facets of decorative architectural concrete, including conceptual design, color pallet selection, materials selection, sealer selection, pattern creation, concrete floor polishing, tooling, specification writing, product evaluation, installation schedule, project management, artistic concrete design, cementitious graphic and logo work, custom concrete metallic work, concrete stains and dyes, diamond polishing, and actual installation consultation. Decorative concrete consultation services are available based upon an individual project fee structure to be determined for every project. BAC exists to serve you, our valuable client…so please call us for consultation on your next project! There is a plethora of wonderful materials available to artistically install concrete color, pattern, and beauty via concrete stains, concrete dyes, sealers, ornamental saw cuts, sandblasting templates, grouts, metallic materials, Micro Topping style skim-coats, ARDEX overlays, color hardeners, integral pigments, polished concrete, Aggretex aggregate surfaces, recycled glass, special effects, and a variety of concrete textures to create a completely original, custom, and highly decorative architectural concrete paving system. Bay Area Concretes has been practicing this extremely diverse form of architectural concrete paving for 50 years in virtually any combination of color tone, graphic layout, and texture. We use the quality lines of Bomanite, QC Construction Products, Innotech, Color Maker, Scofield, Aggretex, Titacrete, and BAC’s own custom blends of all styles and colorations almost exclusively, in these exciting projects. Bay Area Concretes will professionally work in concert with you, the client, to create original paving schemes, colors, patterns, special effects, and original artwork. These exiting paving art forms may be applied to any interior or exterior paving project including commercial lobbies, restaurant floors, retail store floors, airports, shopping malls, movie houses, amusement parks, outdoor strip malls, streetscapes, and many other interior and exterior flooring or paving applications. Aggretex, QC Construction Products, ARDEX, Innotech and Surtec Systems are manufacturers of the highest quality concrete coloring pigments, color hardeners, sealers, aggregates and overlays. In addition we carry industry best-of-class lines of concrete stains, dyes, densifyers, coatings, micro topping style skim coats, self-levelers, and the best sealers available in today’s architectural concrete marketplace. Bomanite Custom Polishing, RetroPlate, HTC SuperFloor, and PolishedCrete Polished Concrete Floors by Bay Area Concretes, will yield a beautiful, low maintenance concrete floor surface, that will provide a high gloss shine and be nearly stain resistant. We can create new concrete construction in any color and finish with the polished concrete surface or we can renovate existing concrete surfaces and add color stains/dyes to create new life and meaning in the floor. The possibilities are both durable and endless. 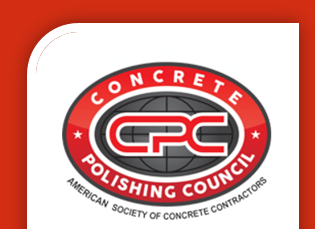 We specialize in polished concrete flooring systems at Bay Area Concretes and have installed millions of square feet in Northern California. BAC has been installing decorative architectural concrete paving for over 50 years in the greater San Francisco Bay Area and California. We are available for conceptual concrete design and estimation, negotiated or competitive bid work in both the commercial and residential arenas, full site package contracting, and decorative concrete contracting directly with the end client or tiered subcontracting work. Our installation area for Bomanite imprinted concrete paving encompasses the entire State of California. All other products may be installed throughout the state of California and beyond, on an individual job/project basis. Bay Area Concretes is a Union Labor contractor and as such we maintain an extremely low craftsman turnover rate, and a very high level of comprehension on the architectural concrete learning curve. Please call us for a sales consultation @ 925.245.8900 today.